Mom will adore this simple fingerprint Mother’s Day art. This homemade kid gift is something she will treasure for years to come. And the best part is that we used homemade finger paints so even the littlest kids can get involved. The homemade finger paint recipe is from our partner, Imperial Sugar. It’s taste-safe and nontoxic, using ingredients right from your kitchen. 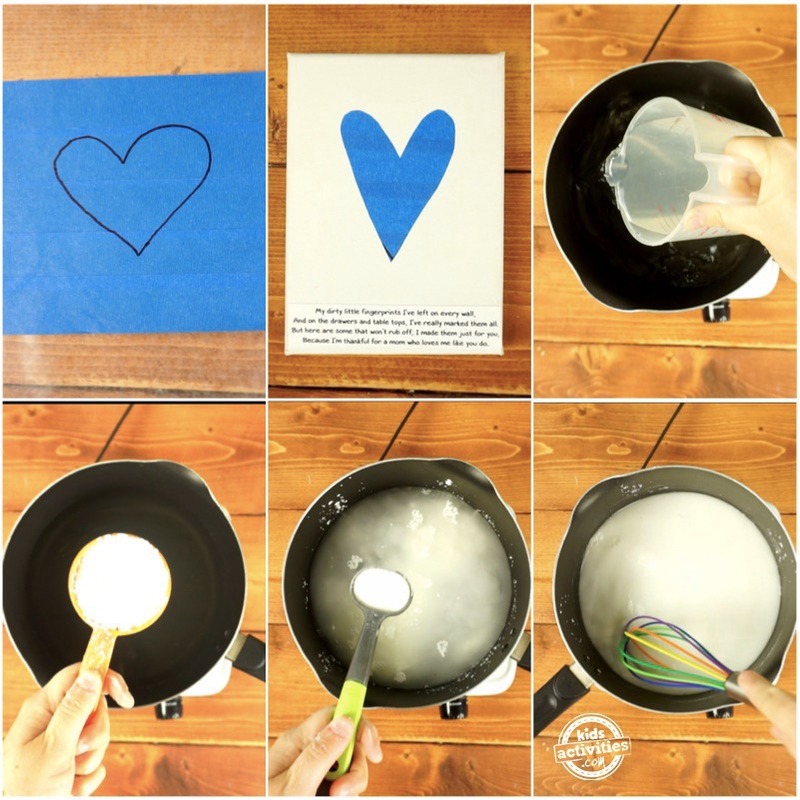 We love working with Imperial Sugar to come up with these fun projects to teach kids that they can use simple household items to create crafts and have fun. 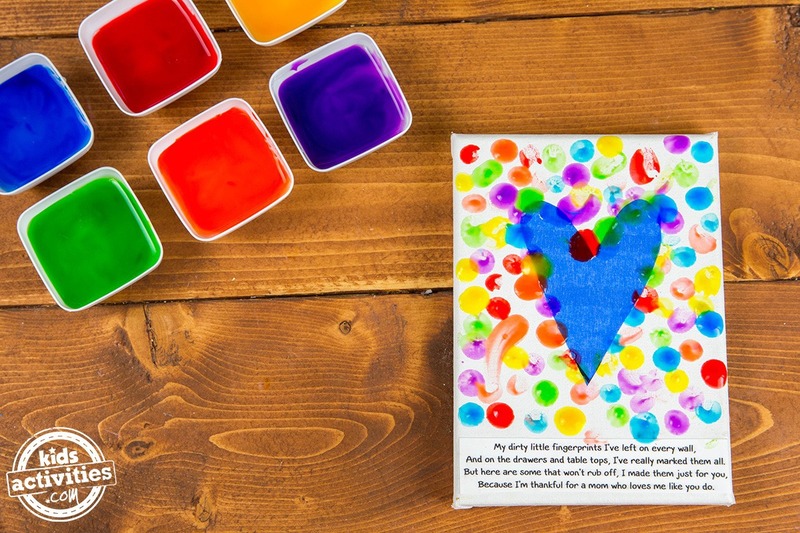 When I saw this project at Messy Little Monster, I knew I wanted to try it with taste-safe finger paint. We also changed up the poem at bit so that it worked with our new finger paint idea! 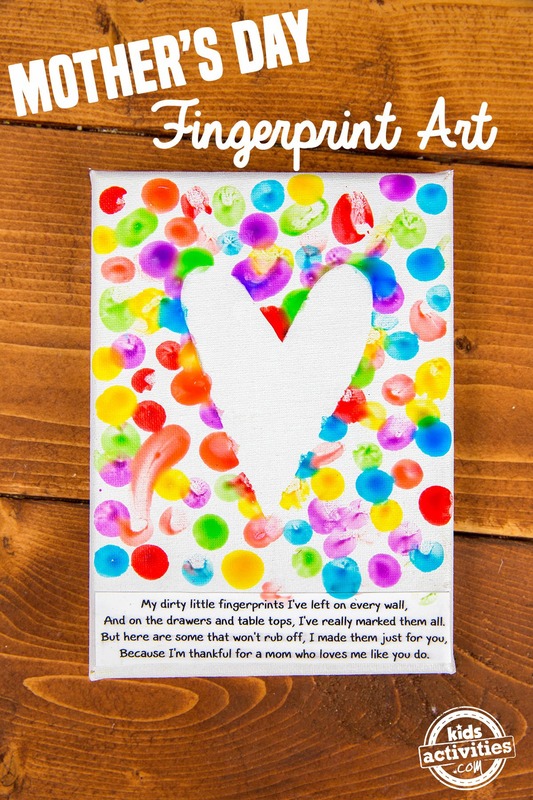 To make this fingerprint Mother’s Day art, cut out the printable fingerprint poem and glue it at the bottom of your canvas on the front. Layer painter’s tape in rows on the wax paper, then draw a heart across the layers. Cut out the heart, then remove the wax paper backing for a heart sticker. Press onto the white area of your canvas. 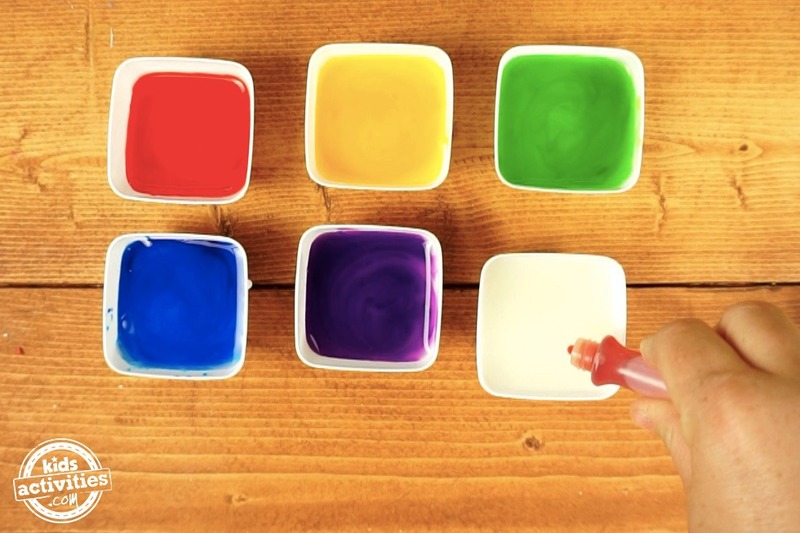 Prepare the homemade finger paint by mixing the water, cornstarch, and Imperial Sugar Extra Fine Granulated Sugar in a small saucepan on medium heat. Whisk constantly until the mixture thickens, then remove from heat immediately. Divide into small bowls and add 1-2 drops of food coloring to each bowl, mixing well to distribute the colors. 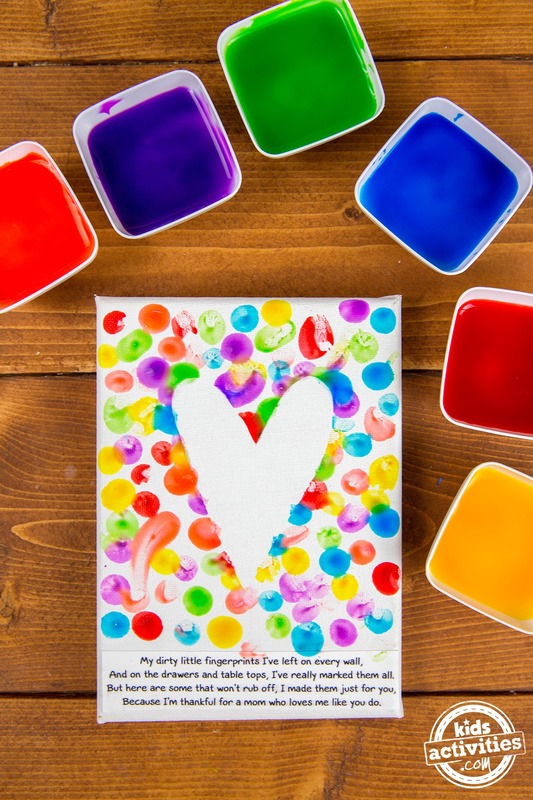 Once the paint has cooled, have your child dip their finger into the paint and press the fingerprint onto the canvas, all around the heart. You can have them fill up the canvas or just do an outline of the heart. 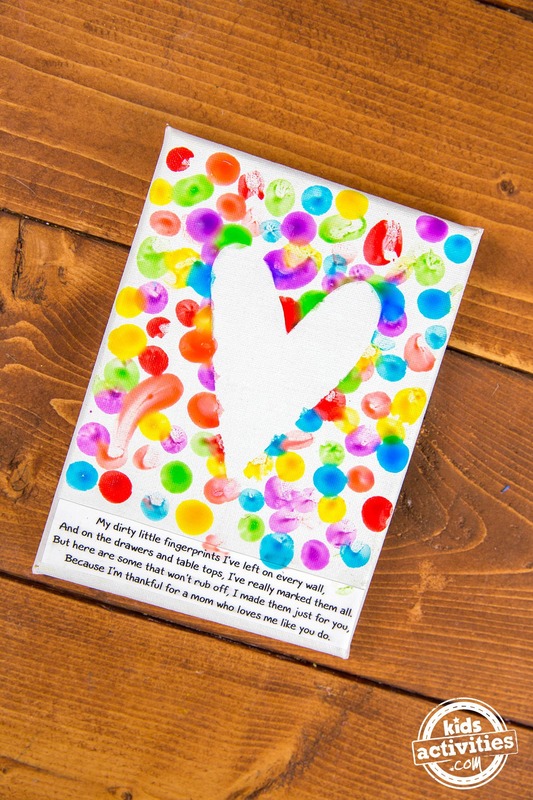 When the finger paint has dried, remove the painter’s tape heart and you will have a one-of-a-kind gift that moms will adore! This winter, keep kids from going stir crazy with simple crafting ideas from Imperial Sugar Kids in The Kitchen, where you can find fun recipe and craft ideas for kids using sugar! So what are you waiting for? Grab a bag of sugar and get to making memories!